The QDR and the future of the Navy. Including a guest, Mackenzie Eaglen, Research Fellow for National Security at The Heritage Foundation who: (a) is a great guest and (b) happens to know whereof she speaks. Which, of course, provides some cover for the rest of us. Which I failed to advertise in advance. I blame the ice storm. Haiti: Psst! Want to get into the disaster relief shipping business? Hey, buddy! Want to get into the disaster relief shipping business? Got a few thousand lying around? 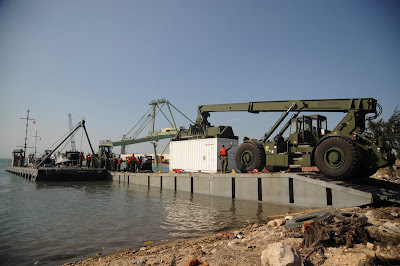 Crowley Maritime Corporation, working under contract with the U.S. Transportation Command (USTRANSCOM), successfully discharged 12 20-foot containers of relief supplies across a beach in Port-au-Prince, Haiti today in an experimental lightering operation. 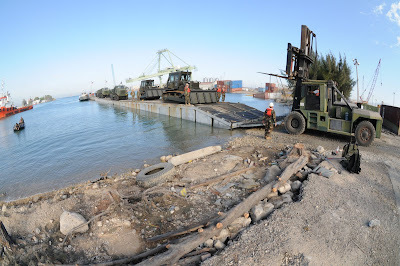 The success of this operation, which involved lifting the containers from a Crowley container ship anchored in the harbor to a smaller, shallow-draft landing vessel for transport and discharge over the beach, paves the way for container shipments directly into Port-au-Prince next week. "Today's operation was an important milestone in reestablishing direct container shipments into the heavily damaged port," said John Hourihan, Crowley's senior vice president and general manager of Latin America services. "The port survey conducted Monday by a team from our TITAN Salvage subsidiary was spot on in terms of identifying a suitable location in the port where we could safely discharge the cargo." "USTRANSCOM values the innovative solutions that our contractors are implementing to rapidly facilitate humanitarian assistance in support of the Haitian people," said Army Brig. Gen. Michael Lally, director of operations for the command. The Crowley container ship Marcajama, which offloaded the containers today, is scheduled to return to Port Everglades, Fla. over the weekend and load more relief cargo under contract with USTRANSCOM. The ship will then return to Port-au-Prince in the middle of next week and discharge containers via the proven lightering method utilizing two shuttle vessels. Future cargo operations in the port should improve substantially in the coming weeks. Crowley is mobilizing two 400-foot-long, 100-foot-wide flat deck barges, along with two Manitowoc 230-ton crawler cranes in the United States for USTRANSCOM that will be brought into Port-au-Prince to serve as a makeshift dock for future cargo operations. The first barge and crane in Orange, Texas should arrive in Haiti on or about Feb. 4. The second deck barge is being outfitted in Lake Charles, La. and will arrive by mid-Feb.
"The diverse resources of the Crowley organization are being brought to the table in response to this emergency," Hourihan said. "We are working closely with USTRANSCOM, USAID, FEMA and other organizations to provide the assets, services and technical expertise they need to accomplish their missions." Relief cargoes are being consolidated and stuffed into containers at Crowley's Miami warehouse and distribution center. Containers delivered by Crowley in Rio Haina, Dominican Republic this week are being trucked over the border into Haiti. And more shipments - 179 20-foot containers and 11 40-foot containers for USTRANSCOM - are due in Rio Haina Sunday morning. "The combination of direct shipments into Port-au-Prince and shipments into Rio Haina that are then trucked over the border is now resulting in a steady flow of aid," said Hourihan. 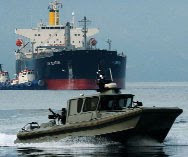 Espada Logistics and Security Group has purchased its own fleet of vessels to provide security services for the commercial shipping industry in the Gulf of Aden.Until recently, Espada had been leasing the vessels it was using to guard the merchant ships sailing in the pirate-infested waters off the coasts of Yemen and Somalia. But the increasing demands on the Yemini Coast Guard and Navy made that arrangement more difficult to manage, says Jim Jorrie, president of San Antonio-based Espada. Espada, which is based in San Antonio, currently owns a fleet of five vessels, all about 75-feet in length and outfitted with additional fuel capacity, giving them a roughly 2,200 nautical mile range. Each ship can carry a crew of six to eight people. I don't know about PT-109 but the photo above comes from one of Espada's brochures. Espada's website can be found here. HIFR is an acronym (what? an acronym in the military?) 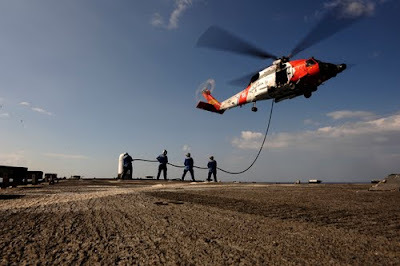 for helicopter in-flight refueling. It allow for a "quick sip" by a busy helicopter. 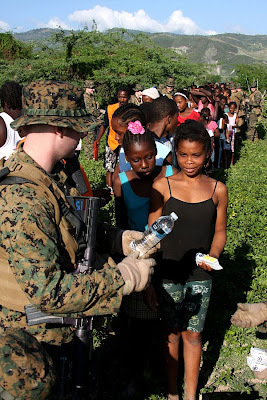 U.S. Navy sailors, Marines and soldiers are working hard to find a means to improve the flow of disaster relief supplies into Haiti. Following are some Navy photographs of the effort to use tools in the military system to put needed materials on the beach. 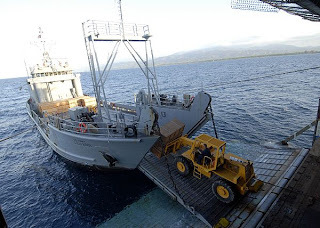 The above photos show a powered component of the JLOTS/INLS system carrying equipment from USNS Lummus and then improvised system to marry a warping tug with a pontoon for delivery of a container. The heavy duty machine getting ready to move the container is a some form of a Rough Terrain Cargo Handler (RTCH) (generally pronounced "wretch"). It appear full JLOTS implementation is pending arrival of several other recently activated MSC/MARAD ships carrying additional components and cranes. Seaboard Marine is resuming vessel calls to Haiti and will have the first liner vessel to call in the Port-au-Prince area since the massive earthquake of January 12. 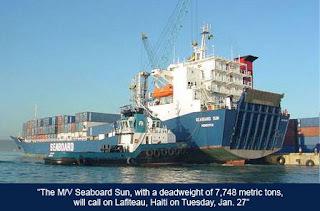 The M/V Seaboard Sun, a RoRo vessel with a deadweight capacity of 7,748 tons, will call on the Port of Lafiteau on January 27, 2010. Lafiteau is less than ten miles from Port-au-Prince and has clear roads to the main part of the city. Our local personnel are currently repairing and securing the dock and facilities at Lafiteau. Although the Seaboard Sun can carry all types of rolling cargoes, initial efforts will be solely restricted to humanitarian goods and infrastructure relief projects routed through major international relief entities and U.S. government agencies. 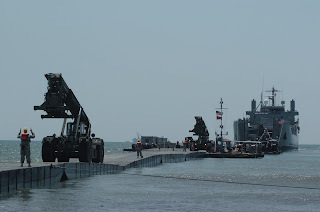 The Seaboard Sun will initially utilize a specialized ramp to discharge cargoes. In order to maximize its vessel calls into Lafiteau, the ship will shuttle back and forth between Kingston, Jamaica and Lafiteau. Seaboard Marine has two vessel calls per week from Miami to Kingston and also weekly calls to Kingston from Brooklyn and Fernandina Beach. Cargoes will be relayed over Kingston on to the Seaboard Sun which will provide an all-water service to Port-au-Prince. The Seaboard Sun will call again on Lafiteau on January 30. We are working closely with government partners and relief agencies. The logistical challenges are immense. As a result, cargo bookings are limited to those groups with consignees that have proven, secure and effective distribution networks in Haiti. Seaboard is committed to moving relief aid in the most efficient manner possible and it is critical that discharged containers be moved quickly to the distribution points and emptied immediately. We apologize for initially not being able to take bookings from all customers but we expect that such restrictions can be eased as the situation stabilizes. Ro Ro vessel explained here. 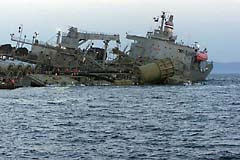 Vessel picture from Seaboard Marine. UPDATE: Red arrow points to where I believe Port of Lafiteau, red blob is PaP airport. With a hat tip to Leesea! Haiti: Just Say "No" to Clinton? Interesting problem in deciding who ought to help Haiti through recovery, if true, at Mary Anastasia O'Grady: Clinton for Haiti Czar? from the Wall Street Journal. It's enough to make you cynical. The U.S. Navy says it overtook a suspected Somali pirate skiff that tried to attack a commercial ship in the Gulf of Aden. A Navy statement issued Sunday says a security team aboard the merchant vessel Napht Al Yemen 1 repelled the Jan. 20 pirate attack without U.S. help. 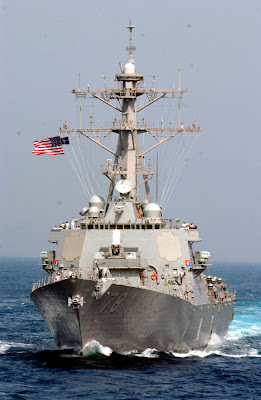 The USS Porter stopped and boarded the pirate skiff later that day. The commercial ship is Yemeni owned but sails under a North Korean flag. The incident marked a rare example of the U.S. military aiding North Korea, a reclusive rogue nation. 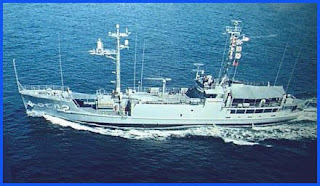 One of the many reasons for the enmity betwixt the U.S. Navy and the North Korean - they are still holding USS Pueblo (AGER-2 captured 42 years ago yesterday. Yeah, we'll start worrying about what the critics of the USA say when they carry their own weight. UPDATE: A report from USNS Comfort from Castle Argghhh! 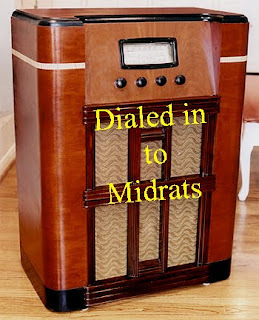 Sunday at 5 pm, the fearless naval bloggers will again assault your ears, and again bring guests to cover up our ignorance. This time it's "Yeoman in the 'Stan" AKA "Battle Yeoman" calling in from Bagram, Afghanistan; and CDR Charlie Malone, former Commanding Officer of Navy Provisional Detainee Battalion FIVE, Camp Bucca, Iraq. We'll start our second-guessing with Haiti - which actually is a big time suede boot thing. 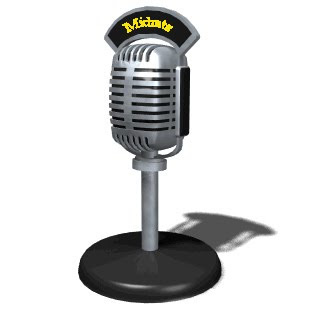 Join us at 5pm Eastern (2200 GMT). We start taking calls at the bottom of the hour, so call in at Call-in Number: (347) 308-8397 or feed us questions during the show via chat at the show page. As of Jan. 4, 2010, anyone flying into the United States, traveling from or through Afghanistan, Algeria, Iraq, Lebanon, Libya, Nigeria, Pakistan, Saudi Arabia, Somalia, Yemen, Cuba, Iran, Sudan and Syria, will be required to go through increased security checks. South Asian Network, a grassroots, community-based organization dedicated to advancing the health, empowerment and solidarity of persons of South Asian origin, and partner organizations have sent letters to the U.S. Department of Homeland Security (DHS) and Transportation Security Administration (TSA), asking to remove these changes because they would lead to more racial and religious profiling as well as targeting based on national origin. That'll make it fairer. After all, adding 1/4 of the earth's population lessens the impact on other groups. Statisically speaking, of course. As soon as New Zealanders attempt to blow up something in the U.S., we can add them to the list. Along with elderly nuns. 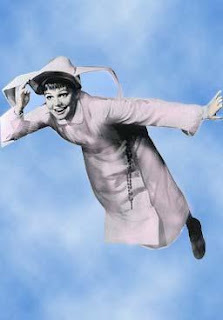 Or flying nuns. 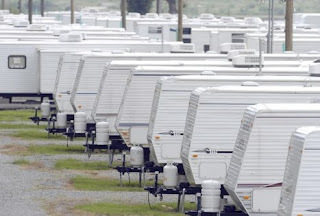 Haiti: Send Former FEMA travel trailers? 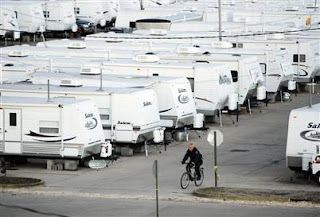 Ship unused post Katrina trailers to Haiti? The chairman of the House Homeland Security Committee has revived concerns over unhealthy levels of formaldehyde in trailers used by victims of Hurricane Katrina as the Federal Emergency Management Agency (FEMA) explores using the trailers to house victims of Haiti’s earthquake, according to the website Homeland Security Today. Rep. Bennie Thompson, D-Miss, wrote to FEMA Administrator Craig Fugate on Friday (Jan. 15) to voice his concerns over the idea of sending the trailers to Haiti to deploy them as temporary housing units for victims of the 7.0 earthquake that struck the nation on Jan. 12. “As you know, I have expressed great concern for the safety of these units due to the presence of formaldehyde. While I continue to believe that these units should not be used for human habitation, I do believe that they could be of some benefit on a short-term, limited basis if the appropriate safeguards are provided,” Thompson wrote in the letter. But despite good intentions, the decision by FEMA to auction more than 100,000 of the trailers through the General Services Administration could pose a threat to public health, the congressman protested. “The mass disposal of these trailers through public auction is troubling. Although marked with legal disclaimers, it is no secret that these trailers may contain mold, formaldehyde and other potentially hazardous substances. A legal disclaimer will not prevent harm to a child who inhales formaldehyde or mold,” he stated. Thompson requested that FEMA suspend the auction and sell only small numbers of trailers to government or non-profit organizations that could rehabilitate the trailers to make them safe for long-term habitation. 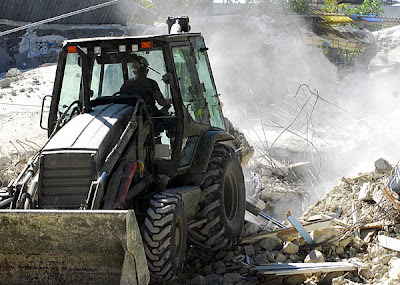 FEMA and the Centers for Disease Control and Prevention (CDC) released a study on Feb. 14, 2008, that determined the temporary housing units contained unhealthy levels of formaldehyde. The CDC concluded that a random sampling of the trailers revealed average levels of formaldehyde of about 77 parts per billion (ppb) in each unit. Exposure to such levels of formaldehyde, intended to keep the trailers clean and preserved, could increase risks of cancer and respiratory sicknesses, CDC warned. Given the hype of trial lawyers suing the trailer manufacturers, it it difficult to determine how much of a threat is posed by the trailers. However, see here. Berkeley researchers said they found "exceptionally large emissions of formaldehyde" in units tested and traced the chemical's presence to extensive use of cheap, light plywood and particleboard for walls, flooring and cabinet surfaces. At the same time, trailers "are not outfitted for adequate ventilation and are tighter than would be desired for housing with such small volume," they said. Perhaps there are better solutions for the long term. Haitian officials are planning a massive relocation of 400,000 people from makeshift camps to the outskirts of the capital as the U.S. government tackles repairs to the damaged main port — dual efforts to help residents survive the aftermath of the catastrophic earthquake. The plan to temporarily relocate thousands is aimed at staving off the spread of disease at hundreds of squalid settlements across the city where homeless families have no sanitation and live under tents, tarps or nothing at all. 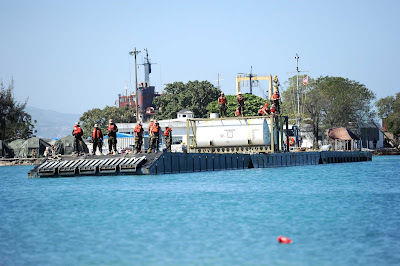 To that end, the U.S. Army, Navy and Coast Guard are looking to repair the Haitian capital's only functional industrial pier, which is key to the country's receipt of massive aid shipments. Officials say success of the project, which involves underwater construction teams and Navy divers surveying the damage, also is critical to the nation's long-term recovery. 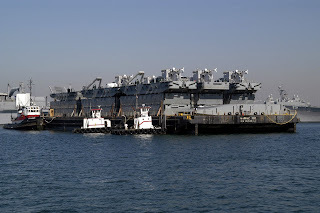 Only four ships have been able to dock at the partially damaged pier since the earthquake. Unloading is lengthy and difficult because 15-inch wide cracks run through the dock, allowing only one truck to drive on it at a time. The port's cranes now tip dangerously into the sea or were rendered useless. 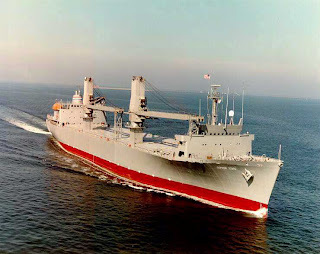 The word I have heard is that USNS 1st Lt. Jack Lummus will be arriving today with the vital military "insta port" stuff. More on "insta port" here, here and by clicking on label "JLOTS" below. 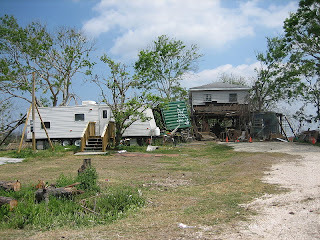 How about shipping some FEMA trailers down to Haiti for housing? That might put some American workers back to work and they are lot better than the tents the NGOs love to set up. And, by the way, there seem to be about 17,000+ available. See here, here and here. Might as well put them to some good use and improve many Haitians standard of living. The 1,000 military personnel, based at Canadian Forces Base Valcartier in Quebec, will be sent to the impoverished Caribbean country in the coming days. "We have the aircraft available. We have secured time slots [for landing at the Port-au-Prince airport], which makes this a more orderly deployment," the minister said. The soldiers will be serving as engineers, medics and security forces. They'll join at least 200 members of Canada's Disaster Assistance Response Team, who are already in Haiti. 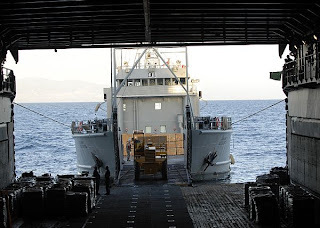 The troops from Valcartier will complement an additional 500 soldiers aboard two Canadian Navy vessels that are expected to reach Haiti's shores early this week. Three water purification units were to leave CFB Trenton in eastern Ontario on Sunday and arrive in Haiti later in the day to set up "immediately," MacKay said. It's a sad state of affairs when the head of the Navy that produced Drake and Nelson, the protected the free peoples of Great Britain, that defeated armadas, kept Napoleon at bay and ruled the waves has to explain to why England has a navy at all. I pity the poor First Sea Lord as he fights back against a Royal Army financial thrust aimed at increasing troop levels at the expense of naval ships. The head of the British Army has called for infantry “boots on the ground” to be preserved, at the expense of costly tanks, aircraft and ships, before what are expected to be devastating post-election defence cuts. Within the Royal Navy, I must retain and develop the quality to deliver success across the full spectrum of defence activity up to and including high intensity warfare. At the same time, I also need to preserve the appropriate capacity to be out on the beat every day, across the globe – as the Naval prayer so appositely states – as a security for “such as pass on the seas upon their lawful occasions; that the inhabitants of the commonwealth may in peace and quietness serve.” Words from another age, but as relevant today to maritime nation that still trades across the world, is made prosperous by engaging across the world and to do so relies on access to the sea. U.S. Navy Maritime Prepositioning Ship USNS 1ST LT Jack Lummus is loading cargo at Blount Island Command, Jacksonville, Fla., Jan. 18-19 in support of international disaster relief efforts underway in Haiti following the Jan. 12 earthquake. 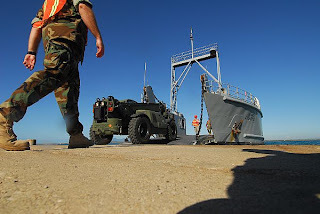 Lummus is loading supplies and equipment from both the U.S. Agency for International Development and the U.S. Marine Corps, as well as cargo from other U.S. government agencies. USAID is providing more than 120 pallets of relief supplies, and more than 400 16-ounce bottles of propane for the shipment. The Marine Corps is providing cargo to support the 22nd Marine Expeditionary Unit as it gives humanitarian assistance to the people of Haiti. The cargo includes dump trucks, bulldozers and other heavy equipment. The Marine Corps is also providing electrical generators, water purification units, lumber and building materials, and limited medical supplies. In addition, the Army is providing three containers of port opening equipment, and the Federal Emergency Management Agency is providing four medical resupply vehicles and more than 90 pallets of relief supplies, including kitchenware and plastic sheeting. The U.S. government is also providing containers carrying 24,000 gallons of gasoline and 24,000 gallons of diesel fuel. The ship will also transport Navy lighterage - motorized and non-motorized barges - to transport the Lummus' cargo to shore. It appears my earlier thought that the Seabee ship SS Cape May might be used to carry the Improved Navy Lighterage System was incorrect (I hope no one lost any money making bets on that) and the INLS will be carried on Lummus. The lighterage system was developed during World War II and a redesign began in the early 1990s. 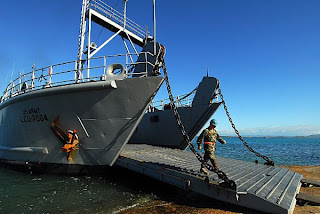 "Our troops needed a platform that could perform faster, safer unloads in higher sea states," said Larry Mendlow, technical director for the Sealift Support Office at the Naval Facilities Engineering Command, which developed the new system with input from MSC. The new lighterage system is better able to operate even in sea state three — defined by winds of 14-15 knots and waves 3.5 to four feet. In addition, the new system's motorized ferry travels at up to 12 knots, 8.5 knots faster than previous ferries. "They took the old system and made huge adjustments, increasing maneuverability, speed and stability so that beach groups will have a steadier, faster platform to work from," said Capt. Harry Bolton, Lopez's civilian master who has 33 years of experience in command of MPS. 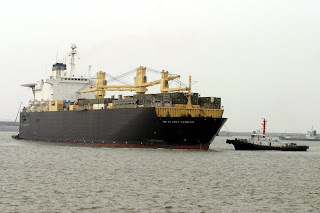 Overhead photos of MSC lighterage by Michael Alston, ship with INLS astern by Lt. Cmdr. Bryan E. Heller. One question that needs to be asked is why in the hell it has taken so long to get INLS moving to Haiti? It was one of my first thoughts (see here) on hearing the major port of Haiti was fouled, and I'm just an old retired hack. As a MARAD spokesman was quoted in one other post, each ship can carry more than what 400 aircraft can. The US military should quit screwing around with Haitian airports and work on Haitian ports. Getting the port even partially operational would allow officials to speed deliveries of humanitarian aid and supplies and relieve the airport, also making it easier to resume commercial flights to Port-au-Prince. Two other Haitian terminals, used to bring in fuel, have also been heavily damaged, said Reginal Villard, a Port-au Prince shipping agent. Relief organizations and commercial shippers are chomping at the bit to get cargo in and unloaded. On Tuesday, the Coast Guard told Mr. Villard he could unload a barge carrying 123 containers of emergency aid towed by a tugboat from Alabama through Puerto Rico to Port-au Prince. But it would have to be done gingerly, he was told. Crowley Maritime Corp., a Jacksonville, Fla., shipper which operates throughout the Caribbean, said it will conduct a test beach landing on Friday. A Crowley ship carrying 12 containers loaded with water and ready-to-eat meals will anchor off Port-au-Prince, a spokesman said. A smaller vessel, with a crane aboard, will be waiting to unload the containers and carry the supplies to the beach. Crowley also plans to bring a barge in by Feb. 2 and "put it on the beach to have it serve as a makeshift dock," the spokesman said. Crowley is going to do its own JLOTS, I suppose. 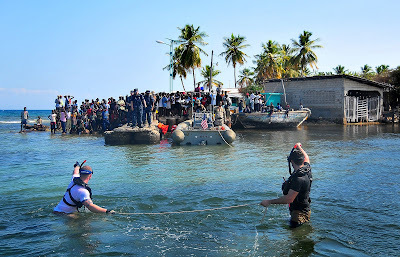 More on the recent Somali pirate v. Somali pirate engagement originally noted here. Thanks to Fred Fry and others for noting the very ironic pirate "call for help" from anti-pirate forces. 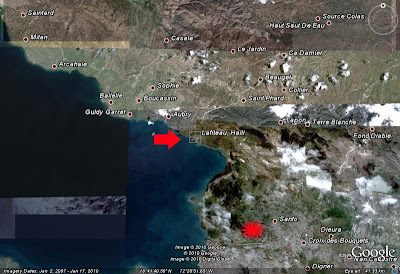 The group that hijacked the ship had earlier made a deal with another pirate gang so the VLCC could be anchored at Haradhere – in return for a portion of the ransom, they told the newspaper. 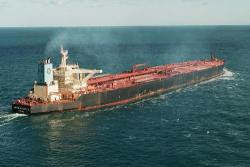 The first group had been preparing to receive the ransom yesterday when the second group surrounded the tanker, accusing their rivals of planning to take a bigger share than agreed, the report said. Gunfire began. Pirates aboard the tanker even asked EU NAVFOR for help in keeping away the rival faction at bay, the Journal said, but that was rejected. The battle ended after clan heads intervened, and the ransom was received and divided, the report said. The Haradhere pirates then returned to shore where they turned on each other, the newspaper reported, adding that at least three pirates were killed by the end of day. Original Wall Street Journal article here. That's about $2.3 million per dead pirate. If you can't trust your fellow pirates and the EU turns you down, where do you turn? H/T: GCaptain and to Ken Adams (see comments). DOT Press Release here. announced Monday that MV Gopher State, MV Cornhusker State (photos to left) and SS Cape May will join OPDS Petersburg from California and M/V Huakai from Hawaii. During today's Blogger Roundtable, LTG Keen discussed the severe fuel shortages adding the complexity of humanitarian operations in Haiti. The immediate solution is OPDS Petersburg. Provides a semipermanent, all-weather facility for bulk transfer of petroleum, oils, and lubricants (POL) directly from an offshore tanker to a beach termination unit (BTU) located immediately inland from the high watermark. POL then is either transported inland or stored in the beach support area. Major offshore petroleum discharge systems (OPDS) components are: the OPDS tanker with booster pumps and spread mooring winches; a recoverable single anchor leg mooring (SALM) to accommodate tankers of up to 70,000 deadweight tons; ship to SALM hose lines; up to 4 miles of 6-inch (internal diameter) conduit for pumping to the beach; and two BTUs to interface with the shoreside systems. OPDS can support a two line system for multiproduct discharge, but ship standoff distance is reduced from 4 to 2 miles. 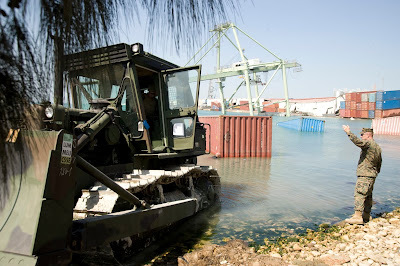 Amphibious construction battalions install the OPDS with underwater construction team assistance. OPDS are embarked on selected ready reserve force tankers modified to support the system. The U.S. Navy's Military Sealift Command awarded a $26.6 million contract with options to Edison Chouest Offshore, based in Galliano, La., for the time charter of one Offshore Petroleum Discharge System, or OPDS. 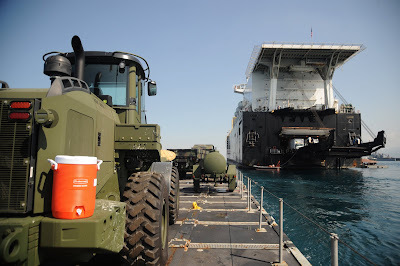 The OPDS consists of two ships -- a support ship and a tender -- that work together to pump fuel for U.S. military forces from a commercial oil tanker moored at sea to a temporary fuel storage area ashore. To begin the process, the 348-foot support ship and 165-foot tender work together to install up to eight miles of eight-inch-diameter flexible pipe. Next, the support ship positions the tanker for safe off-load operations. 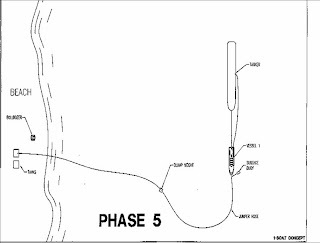 While the tender holds the tanker in place, the tanker's lines connect to the flexible pipe through the support ship. Booster pumps aboard the support ship increase the pressure of fuel, pushing the fuel to shore. The OPDS is especially valuable in areas where fuel piers are unavailable, and tankers are unable to tie up ashore to off-load fuel. The OPDS can pump up to 1.7 million gallons of fuel per day. The system has been recently exercised. And, no, that ship is not sinking, it's just positioning itself to offload the Single Anchor Leg Moor component of OPDS. From PowerPoint presentations which can be reached from here and here. The new system allows for use of other tankers, greater offshore distance and more flexibility. Two of the ships are Auxiliary Crane Ships (ACS) and will substantially add to the ability to move cargo from ship to shore. Cape May is a Seabee class barge carrier - which, I think might prove to be perfect for transporting JLOTS barges, as seen in the nearby photos, the Navy Improved Navy Lighterage System (INLS) can fit nicely onto barges, but the deck of Cape May is of a size that INLS can be "mother shipped" on deck. 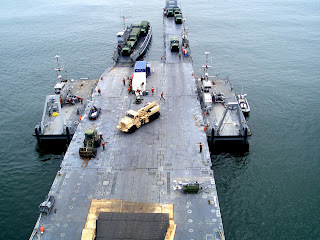 SEABEE carriers are capable of embarking barges at the stern using winch-driven lift platforms with a load-carrying capacity of more than 2,000 metric tons. 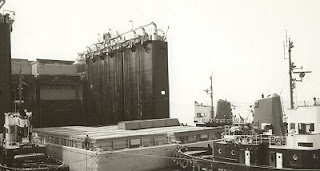 Barges are loaded, usually in pairs, by being floated into the dock-like afterbody of the ship over the lowered lifting platforms, then lifted up to deck height, from where they are rolled into the ship on very flat rail-mounted trolleys. This type of transfer is thus known as "lift and roll". The Lykes Line's SEABEE ships can stow thirty-eight barges on three decks. Special fittings allow the upper deck to be loaded with containers instead of barges. 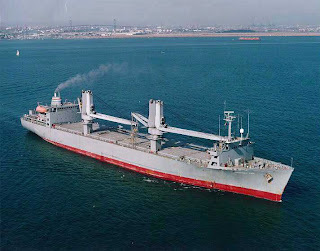 SEABEE ships are able to carry containers and other cargoes on deck, but these ships do not have on-board lifting gear for such cargoes. 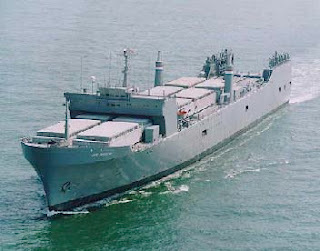 The SEABARGE (SEABEE) is arranged much differently from the LASH in that it has three decks on which the cargo barges or container flats are stowed. Barges are brought to each deck level by a stern elevator and are moved internally within the ship by the Transporter (conveyor) System. 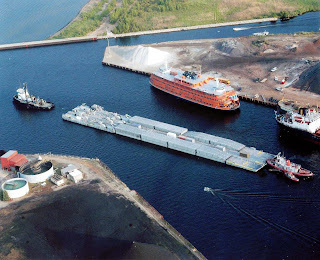 Two barges can be loaded or discharged in a cycle of about 40 minutes. SEABEE barge ships can carry up to 38 sea barges (97'6" long x 35' wide x 16'11" high). The elevator capacity is 2,000 LT. 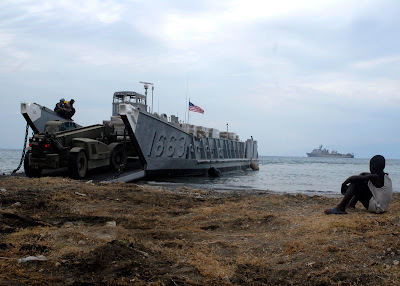 The SEABEE ship is the preferred ship to transport landing craft, utility, and lighter, amphibious resupply, cargo 60 ton. 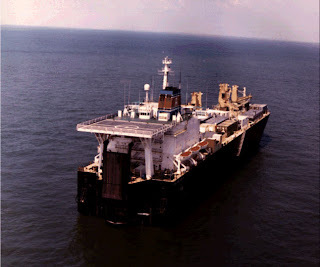 The military advantages of barge carriers include their suitability to carry either unit equipment, sustaining supplies, or ammunition; the ability to carry amphibious lighterage; and the capability to preload the barges before ship arrival and to discharge cargo from the barges at relatively austere port facilities, after the ship has sailed. 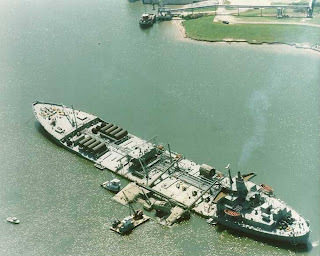 Their military disadvantages include a complete dependence on a single, very complicated mechanical system for barge discharge; the barge's dependence, once afloat, upon the availability of towage; and the overall unsuitability of the barges for towing outside harbors or other protected waters. 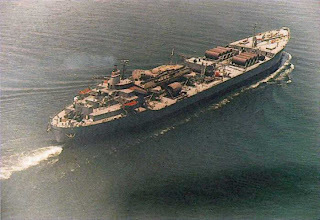 The Sea Barge (SEABEE) transportation systems operate similar to a containership. In these systems, cargo is stowed in unitized barges. The barges are then stowed aboard a barge carrier. One major difference between containerships and barge carriers is the amount of cargo that lighters or barges can handle. SEABEE barges have cubic capacities of 40,000 ft3 (30 160 m3). The SEABEE system has an elevator to load its barges. 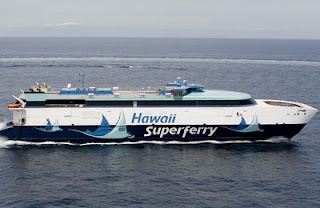 From the DOT Press Release: M/V Huakai is a new high-speed passenger and vehicle ferry capable of speeds of nearly 40 knots in the open ocean. It was obtained by the Maritime Administration when a Hawaiian ferry company failed and abandoned it. Since late last week it has been undergoing preparations in Norfolk, VA.
DoDLive Bloggers Roundtable with Lt. Gen. P. K. (Ken) Keen, Commander Joint Task Force Haiti. Lt. Gen. Keen provided an update of ongoing U.S. military disaster relief operations in Haiti. SOUTHCOM is closely monitoring the situation and is working with the U.S. State Department, United States Agency for International Development and the Office of U.S. Foreign Disaster Assistance and other national and international agencies to determine how to best respond to this crisis. JLOTS can be pushed forward as port assessment continues. "Getting the ports open is absolutely critical..."
Somali Pirates: Die fighting over ransom. So sad. 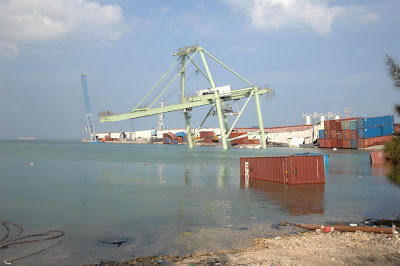 Haiti: "Without the port, we'll starve"